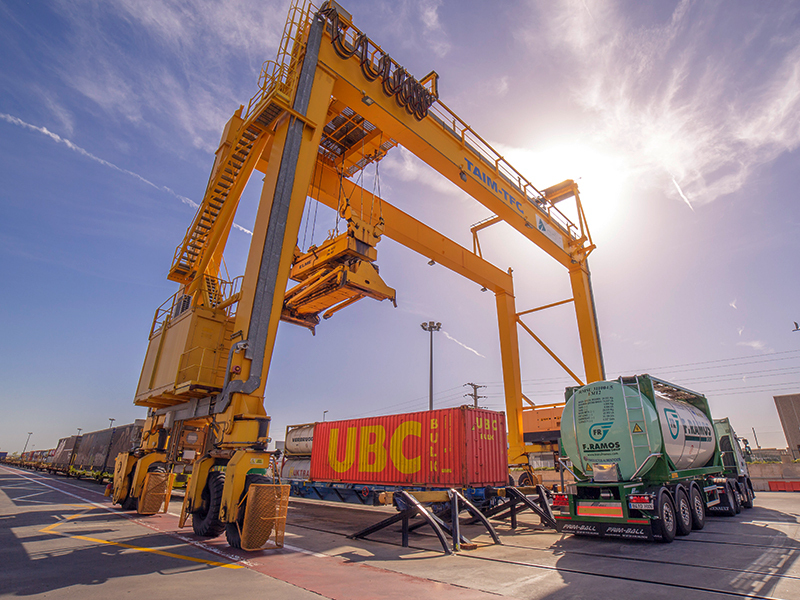 The intermodal system consists of using different modes of transport, using the most efficient according to the area being covered, and gathering the goods in a single shipment, allowing it to be transported in one container for the whole journey. This allows us, in many cases, to transport the goods more quickly. Efficiency: In terms of both operations and energy. We achieve quality transport services with the minimum possible resources, quickly and with greater respect for the environment. 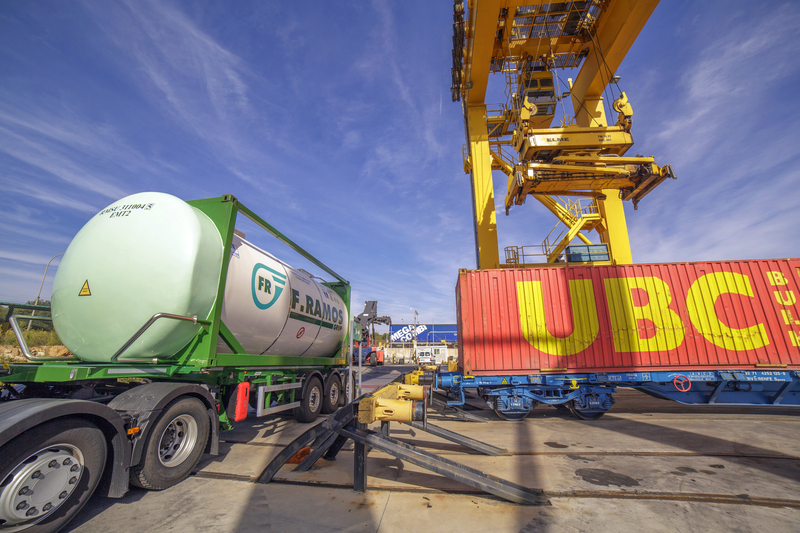 Speed: The reduction of transport time and the use of intermodal transport units (ITU) allow us to improve delivery times. Continuous communication about the status of your goods thanks to the improvement of monitoring and traceability of the product. Greater reliability: Both in delivery times, due to the reduction of transport time, and greater food safety. 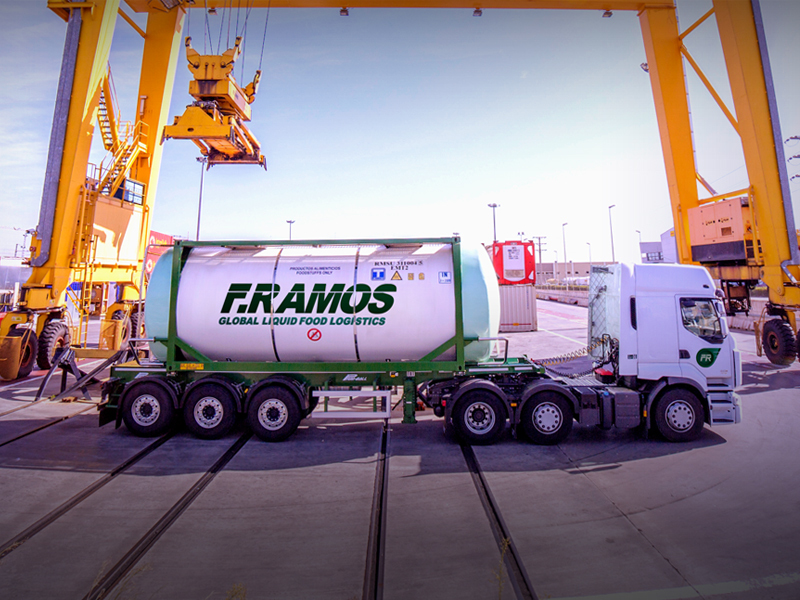 At Transportes F. Ramos we offer complete customised logistics plans. We study the most efficient modes of transport in each case to ensure the best system at the lowest cost. Furthermore, we have a large fleet of different capacities, ranging from 24,000 to 31,500 litres which allows us to adapt to the needs of each client.